La Isla de las munecas (The Island of the Dolls) might be the world’s strangest and scariest tourist attraction ever. However, this sad island was never meant to be a stop on tourists’ holiday itineraries. The Island of the Dolls was dedicated to the lost soul of a poor little girl who met her fate too soon. 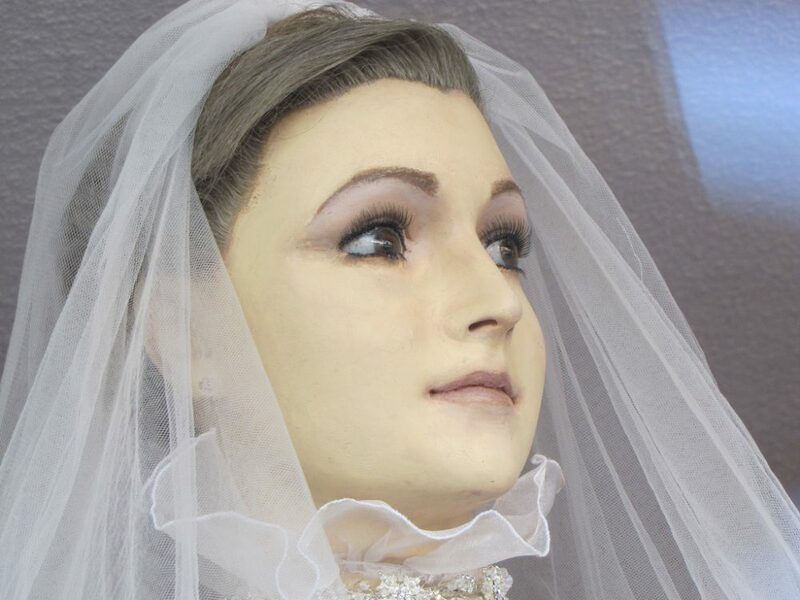 In Chihuahua, Mexico, local rumor has it that this mannequin, known as “Pascualita”, is actually an embalmed body. According to legend, a lady named Pascuala Esparza owned a wedding boutique in the city, making dresses for soon-to-be brides. Her own daughter, Pascualita, was engaged to be married, so Pascuala set about to make her a special dress. Everything was planned when, on the day of the wedding, tragedy struck. Supposedly, Pascualita was bitten by a poisonous insect and later died. Distressed by the death of her daughter, Pascuala set out to immortalize her. She embalmed the body, dressed it in her wedding gown, and propped it up in the window of her boutique, for all to see. 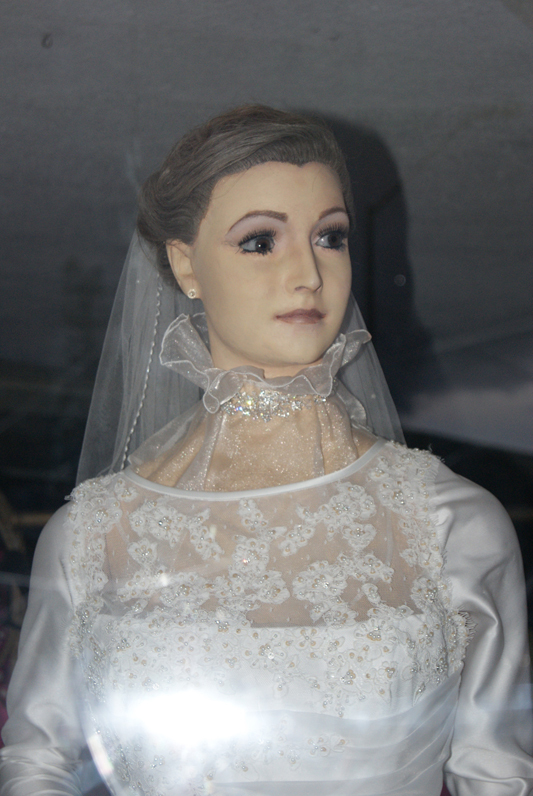 Today, Pascualita remains standing in the window of “La Popular” in downtown Chihuahua. Although commonly regarded to as a myth, the details in the mannequin (especially in the hands) keep onlookers wondering. 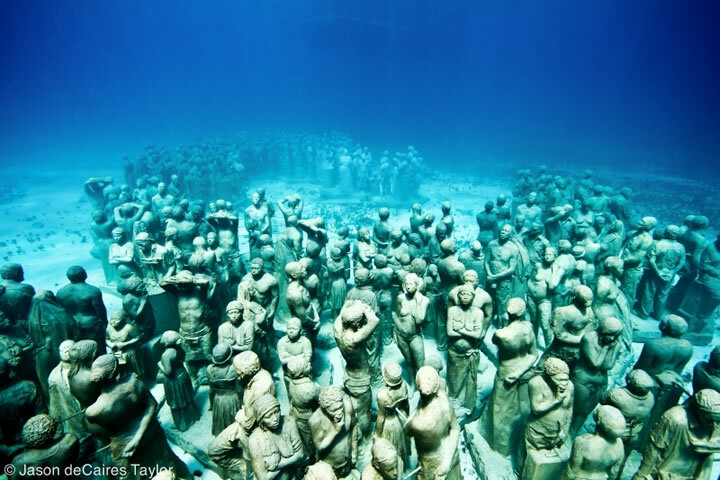 Jason deCaires Taylor’s underwater sculptures create a unique, absorbing and expansive visual seascape. Highlighting natural ecological processes, Taylor’s interventions explore the intricate relationships that exist between art and environment. His works become artificial reefs, attracting marine life, while offering the viewer privileged temporal encounters, as the shifting sand of the ocean floor, and the works change from moment to moment.Below you will find a small collection of his work. For more pictures and extensive details on each project, the Sifter highly recommends Jason deCaires official site. Enjoy!